"The axe for the frozen sea within us." A wise word for readers and for writers! Do we want books that sooth and tell us what we already know, or books that shake us to the core and lead us to rethink and change? A Facebook friend posted this Kafka quote, after I linked to Rachel Held Evan’s latest blog, “I love the Bible.” I think this is one of her best to date and one that will make us think. 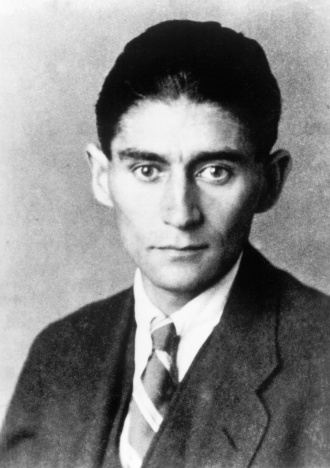 Note: Franz Kafka was one of the major fiction writers of the 20th century. Born to a middle-class German-speaking Jewish family in Prague, Bohemia (presently the Czech Republic), Austria–Hungary, his unique body of writing—mainly published posthumously—is considered to be among the most influential in Western literature. 3 Responses to "The axe for the frozen sea within us." Kafka employs extreme language—the point being to read books that shake us up and make us think. Actually, if we read honestly, the Bible rattles us like that. The writer of Hebrews uses extreme language too, warning us that God's word is like a razor sharp blade. Handle it carefully. You might get cut.